In English terminology, using power in the context of martial arts is pretty simple and straightforward. You may use power, more power, or perhaps ‘explosive power’. So there’s power, and there is ‘bigger power’, and also that ‘explosive power’, which is just ‘power moved at greater speed’… whatever that may mean. But for the Chinese, power is expressed in two different ways, with a clear distinction between them. That character is basically a drawing of an iron plough. So in effect, Li is that type of thing which plows strongly through the earth, pushing against much resistance. Unlike Li, which is just this one drawing, Jin is made of four drawings put together. The one on the right side is the same as Lì 力. We therefore learn that Jìn 勁 is something that already contains Lì 力 within it, but also features additional components. 一 Yī – One, or ‘whole’. 工 Gōng – Work, or something being in the works. 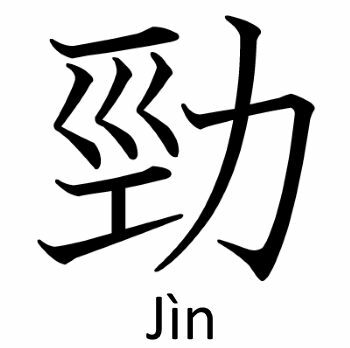 Jìn 勁, or ‘skilled power’, which is a power that manifests a skill or technique that required lots of work to become proficient at. A well-honed power. Like an Olympic weightlifter doing his thing. A vault-jumper propelling himself to the air. A master issuing a punch from zero distance. A bullet living a rifle. These are all Jìn 勁 – a trained power. Thus in the traditional Chinese martial arts we talk less of ‘power’, ‘more power’ and ‘explosive power’. What interested the people who carried on these traditions throughout the centuries were the actual qualities contained within the different powers, and what these qualities meant. Lì 力 is ‘dumb’, and is therefore limited. But Jìn 勁 may express as a concept some very advances notions of transferring energy. Hence, the use of Jìn 勁 for martial purposes is called Fā Jìn 發勁. Often wrongly translated as ‘explosive power’, but actually meaning ‘to emit Jìn‘. This issuing outwards of Jìn from one’s body to another can then take many shapes and forms. It can be Cùn Jìn 寸勁 (Inch Power) – a very short and fast explosive power issued from close range. It may express outwards as Dǒu Jìn 抖勁 (Shaking Power) – a longer Jìn that contains tremors and affects the opponent differently. Another is Làngtou Jìn 浪头劲 (Wave Power) – a mechanism that uses a waving pattern of the body, especially the spine, to generate momentum for martial applications. There could even be countless combinations of all of the above, and many more. 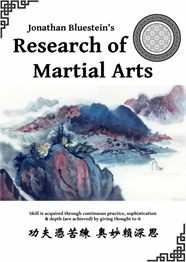 Imagine then how intricate and rich the traditional Chinese martial arts truly are, if mere two words as such, Lì and Jìn, can contain so much within them, and require a whole article to be understood. Think of this minor example and remember, that the traditional martial arts are beyond the technical – they are a complete cultural heritage, and ought to be understood in that fashion. 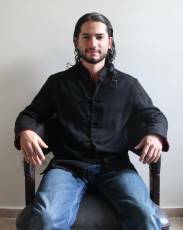 To purchuase his outstanding Book "Research of Martial Arts" please visit his Website.